Island Bath & Body is an incredible line of Hawaiian high-ends fragrances and luxurious body lotions that stay in your memory forever for their uniquely created scents and dedication to strict quality standards. Made in Hawaii. 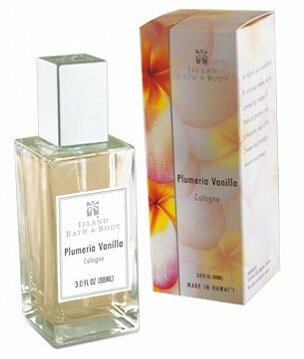 Plumeria Vanilla Cologne by Island Bath & Body is pictured above. Scroll down for the full selection.